FAIRFORD | The Royal International Air Tattoo will be the last European event to host the Red Arrows before they head on tour to North America. Defence Minister Mark Lancaster announced today that the Red Arrows will perform at the Gloucestershire show on the 19th-21st July. They will then leave for America at the end of the month after a short period of maintenance and leave for team members. 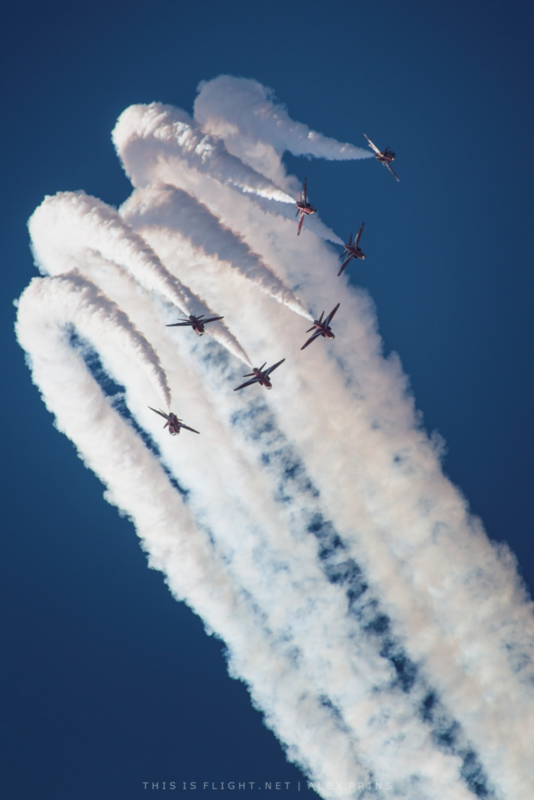 The organisers of the Air Tattoo officially confirmed the Red Arrows’ participation shortly after the Ministry of Defence made their announcement. The tour, called Western Hawk ’19, will see the world-famous team fly at venues across the United States and Canada in August and September this year to promote trade and cooperation with the UK. No schedule has yet been announced for the tour, although a former Canadian military demonstration pilot unofficially said online that the team are all but confirmed the Canadian International Air Show in Toronto. Red 1 Sqn. Ldr. Martin Pert recently said on Twitter that fans can expect to see the team’s 2019 schedule in early February, but it is not clear whether this referred to the American tour, or just to the team’s European season. Mr Lancaster MP confirmed that the Typhoon Solo Display and other RAF display teams will remain in the UK for the rest of the airshow season. Their air display participation will be “carefully prioritised to deliver maximum impact”, he said. 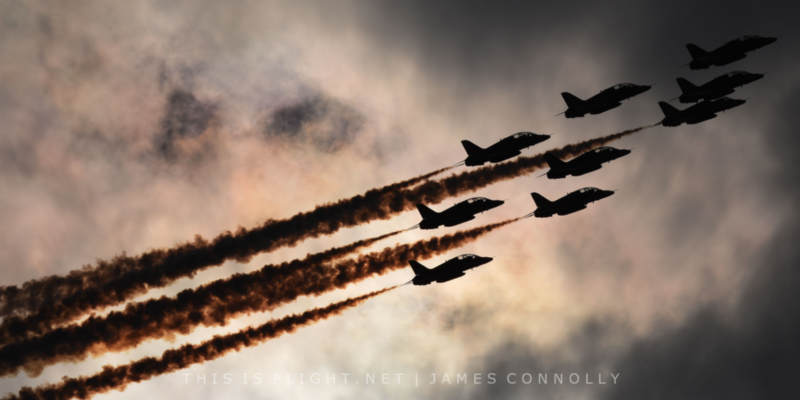 This entry was posted in Airshow News America, Airshow News Europe, Airshow News Military on January 23, 2019 by Adam L..